The Sky Is Everywhere by Jandy Nelson is one of my all-time favourites, and it was one of the first books I reviewed when I started this blog. The very first was Sarra Manning's Nobody's Girl, a really fun contemporary. In Nobody's Girl, Sarra Manning brings Paris to life really vividly, as she does with another capital city in her most recent release London Belongs To Us. 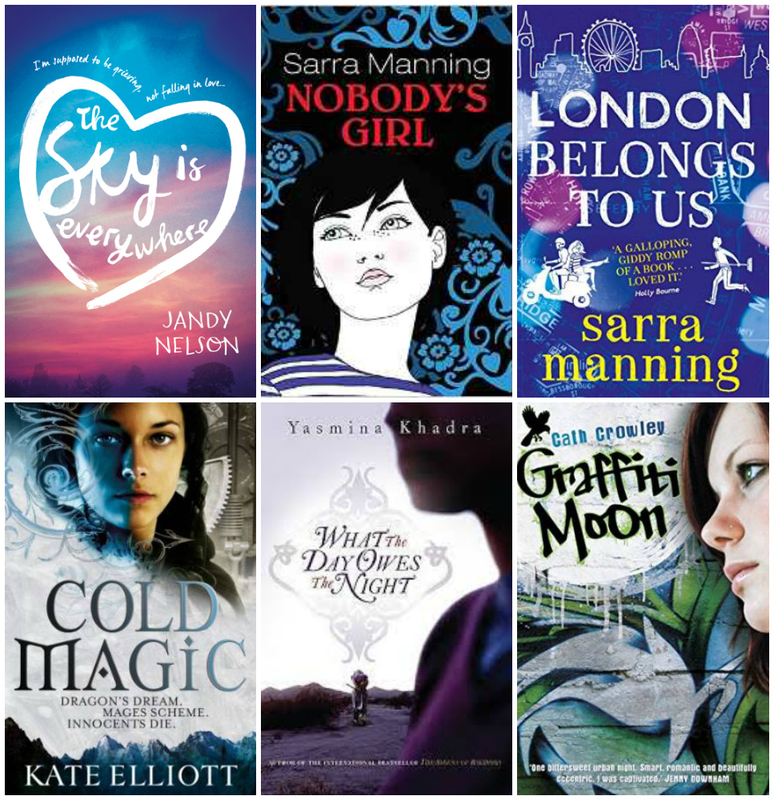 London Belongs To Us is a fabulous story set over the course of one night, as is Cath Crowley's Graffiti Moon. Graffiti Moon is one of the most lyrical books I've read in years. Another book full of gorgeously lyrical writing is Yasmina Khadra's What The Day Owes The Night. What The Day Owes The Night is an adult novel but it's one I'd definitely recommend to teens as well as adults, as is Kate Elliott's Spiritwalker trilogy, which starts with Cold Magic.